The Modern Event Deck goes on sale today! 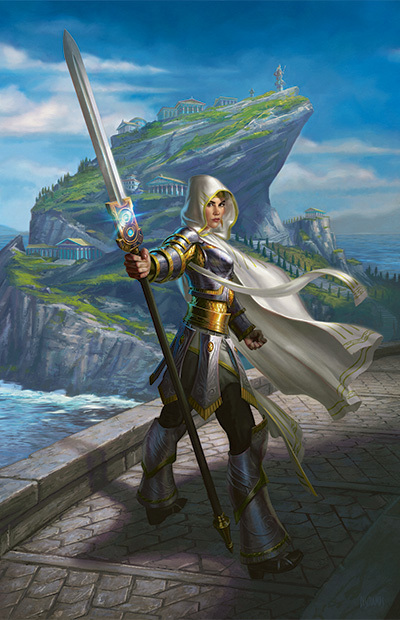 It includes 1 Elspeth, Knight-Errant, a card first introduced in Shards of Alara. 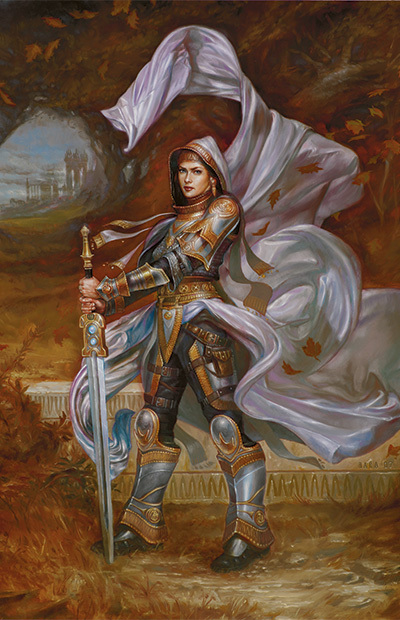 All this week, the Card of the Day theme has been about the Elspeth story on Theros (spoilers! ), which tied in with Monday's feature, "Journey's End." 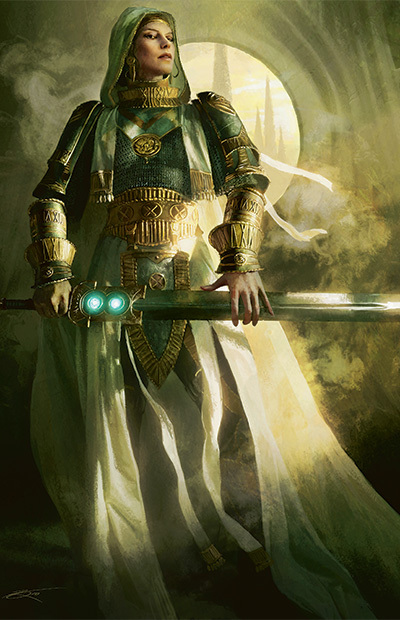 So it makes sense to bookend the week with an Arcana about Elspeth, knight-errant and sun's champion.